Find out what’s new in the latest releases of Matillion ETL for Amazon Redshift. CDC based on DMS gives users the power to automatically keep their Redshift tables in-sync with their source database tables using Matillion ETL. Support for creating External Tables over semi-structured external data hosted on S3. A new Nested Data Load component can flatten incoming nested data according to a user-defined structure. Unlike nested data, the flattened data can be fully-functional on Redshift. A new JDBC Table Metadata to Grid Component connects to many types of JDBC database and can export the metadata from a source table into a Matillion ETL Grid Variable. Users can now search their environment tree to quickly find tables and views. This allows queries run by Matillion to make use of multiple WLM slots to give very complex queries additional memory without having to spill intermediate results to disk. You can determine which queries spill to disk with SVL_QUERY_SUMMARY and similar system views. The External Table Output component for Redshift Spectrum now has partitioning support. New “Copy Table to External Schema” GUI tool generates new “Table Input/External Table Output” components with full partitioning support. Perfect for customers who want to try out Redshift Spectrum with their existing data. Redshift now supports “late binding” views on input components and view creation. New Server Migration Tool makes it easy to migrate all configuration including Oauth, API Profiles and Drivers in addition to projects to a new Matillion Cluster. Matillion ETL for Amazon Redshift introduces the ability to configure Matillion ETL in a highly available topology with fully active-active cluster. This feature is only available on large and xlarge instance types. Scheduled runs missed because a server is offline will be run when it becomes available again. OAuth tokens, Database Drivers and RSD Profiles are replicated via the persistence database (postgres). Logging from each node is sent to Cloudwatch. Cloudformation Templates help you get started with a clustered Matillion. S3 / Google Cloud Storage file browser enhancements. Warning: Manage Backups and View Audit haven’t been removed, they have been moved to the Admin menu. New External Table Output component – similar to Table Output but creates a Amazon Redshift Spectrum table over S3 data. New “Add Partition” component (Amazon Redshift Spectrum only). New “Delete Partition” component (Amazon Redshift Spectrum only). Other Amazon Redshift Spectrum components have new Table Partitioning parameters. Components for creating an External Tables over S3 Data. Rewrite External Table writes redshift data into S3 and defines an external table to reference it. All data-staging orchestration components (all components ending in “query”) can write data to S3 and generate a compatible External Table to reference it. This will allow users to keep both small data sets and very large data sets in S3. Amazon Redshift Spectrum schemas and tables are displayed in the Environment Tree. Matillion no longer relies on creating views in Redshift to represent components. Post upgrade we recommend using the “Delete Views” function on the Environment to remove existing views generated by Matillion. These will not be recreated and any other v_xxxxxxxxxx_xxxxxxxxxx views can be safely, manually removed. Update the Matillion server version. Configure users (using either an internal user database or external directory server). Note: This will replace the existing /admin application. This is currently retained on upgrade but will be removed in a future update. Please use the new Admin Menu where possible. Separate Replicate component no longer mandatory. Enterprise Features (these features are only enabled for users running m4.large or m4.xlarge instance types). Automatic Job Documentation. Matillion ETL can automatically generate documentation for your ETL process. This tool will recursively search your jobs and include all job detail including linked notes and descriptions. Ability to use Matillion ETL with an external postgresql repository on RDS. Allows you to externalise all your Matillion Job and configuration data to RDS and take advantage or RDS features such as backups and point-in-time recovery. Please contact Matillion Support if you wish to take advantage of this. The Python Script component has been upgraded and now supports use of Jython (the default), Python 2 and Python 3. This is useful for customers who wish to use pip modules that are not pure python. New Search system. Find jobs, notes and component properties anywhere in a project via a new Search tab. An upgraded UI toolkit delivers a smoother, faster user experience. Multi-select tasks to cancel in the task panel. Export Jobs now allows you to multi-select a choice of jobs in the job tree and export them. The S3 Put component now allows the user to grab data from a self-signed HTTPS endpoint. Google Cloud users – Also check out new Matillion ETL for BigQuery. A new Youtube Query Component. A new EMR Load Component to make it easier to natively load EMR data sets. Environment Explorer Tree shows UDFs, Primary Keys, Sort Keys, Distribution Keys. Validation of Orchestration tasks now run in the background and appear in the Task panel (in the same way as Transformation tasks) this is more predictable, particularly for components that take longer to validate against 3rd party API’s. A new Connection Manager allows you to see and control connected sessions. This will also prevent users from being locked out when they hit their connection limit. keeping the objects in S3 after the load completes for archive purposes. Turning off automatic compression analysis. Turning off automatic statistics gathering. Users (using internal security) can be added/removed without requiring a restart. The If component now logs the decision taken to the task panel. This will help users diagnose decision logic problems. Matillion now runs on Java 8. New Text Output orchestration component simplifies export to CSV and other Text based formats. File Iterator now supports S3, you can loop over a list of files in an S3 bucket. KMS Encryption option in password manager allows you to use AWS managed encryption keys to encrypt passwords in Matillion ETL. Run Transformation / Run Orchestration components now support variable overrides to make it easier to run jobs in a reusable manner. Added support for the boolean data type. The scheduling test will check your maintenance window and warn of possible overlaps. Some orchestration components such as Create Table have an SQL Tab so it is easy to understand the generated SQL. Additional methods available on Matillion date variables will simplify using dates in variables. New cleaned up and simplified sample tab. Hundreds of other tweaks, minor improvements and bug fixes. Delete Tables – Remove table such as temp tables as part of an Orchestration. S3 Get Object – Get S3 Objects and push them SFTP, HDFS and Windows File Shares. File Iterator – Iterate over a list of pattern matched objects in an FTP, SFTP, HDFS or Windows Fileshare. This tool helps generate compatible “Create Table” and “S3 Load” components by sampling delimited data files on S3 and guessing the layout. Create Table and Fixed Flow components support additional data types (Integer, Date). More to follow. S3 Put Object now supports S3 as a source (in case you have ZIP files on S3 that need unpacking before loading to Redshift). The SQL component can now be used at the beginning of a flow. We now include an API profile for Matillion’s API to copy the run history to Redshift. The API Query component can be used to query this data and import to Redshift. Plus hundreds of minor improvement and bug fixes. The Sample tab now allows filtering to assist debugging complex transformations. Your syntax is checked by Redshift as you type. Jobs and folders in the explorer can be moved and copied in bulk. Improved editor windows. You can see available variables and test your code without leaving the editor when writing Python and SQL Scripts. Notes can now include bold, underlined and italic text, as well as hyperlinks. The Task History is now searchable, and opens in a separate tab. In the environment navigation browse the available tables, views and columns within each environment; drag and drop them into a Transformation. The S3 Load Component can specify an IAM Role ARN that is attached to your Redshift cluster. On the Table Output Component “Analyze Compression” now supported an “If not compressed already” setting. Python modules can now be installed with ‘pip’, and the latest boto3 API is now included by default for interaction with AWS services. The RDS Bulk Output Component now supports output to Postgresql databases. The S3 Put Component can now read directly from HDFS. If you have version 1.21.5 and have the admin app set up you can upgrade using the Admin App. If for any reason the upgrade fails, restore from backup and please contact support. Non-blocking task queue allows users to collaborate more seamlessly without being blocked by each others requests. Multiple runs of the same job will queue. Load data from Hubspot with the HubSpot Query Component. Load Odata Sources with the OData Query Component. Load Microsoft Excel Spreadsheets with the Excel Query component. Load Google AdWords data with the Google AdWords Query component. SFTP Put Object component will allow you to write transformed data from Redshift back to an SFTP server. Retry Component allows automatic retrying and backoff which is most useful for 3rd party API’s that are not 100% reliable. S3 Put Object now supports copying a file from a Windows File Share. You can now run an orchestration job from part way through. Notices/warnings/errors are now displayed on a new “Notices” tab. Preview API to import/export entire projects, run jobs, monitor running jobs. Can be used for integration to 3rd party source control management systems. Plus hundreds of performance improvements and minor features. If you are upgrading Matillion to 1.21.5 from a previous release, once you apply the updates and restart the application server (tomcat), the internal job repository will be re-written in a new format. Please be patient and do not restart the server (or tomcat) during this period. Plus dozens of other minor improvements and fixes! Concurrent execution of orchestration tasks (orchestration multi-threading). New load components for Salesforce, MongoDb, DynamoDb, Google BigQuery, Netsuite, Microsoft Dynamics and LDAP. S3 Put’ Zip Unpacking (unpack contents of a ZIP file to an S3 bucket from remote FTP/HTTP server). Support for Views as data input in Transformation. Support for Views as data input in Transformation. Support for Views as data output in Transformation. Teradata support added to Database Query component. RDS certificate support added to keystore functionality. Over 90 other minor improvements and bug fixes. 26-02-2016 [1.19] Social media and API support. Commitment control. Improvement for SCDs. New load components for Facebook, Twitter and Google Analytics. New API Query component, loads data from any REST, JSON or SOAP API. 15-01-2016 [1.18] Improved Orchestration flow control and component variables. Improved security support. Redshift UDF support. DB2 in the database query component. 30-11-2015 [1.17] Iteration, multi-schema support and FTP/HTTP data load functionality. Manifest support in S3 loader added. 08-08-2015 [1.15] New scheduler. Load data directly from Amazon RDS. Improved UI. 29-07-2015 [1.14] S3 load/unload. 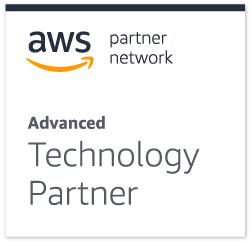 Improved performance and AWS integration.